Can I Do My Inspection on the Spectora App With No Internet Connection? Learn what you can and can't do without a connection when you're in the field using the Spectora Mobile Home Inspection App. 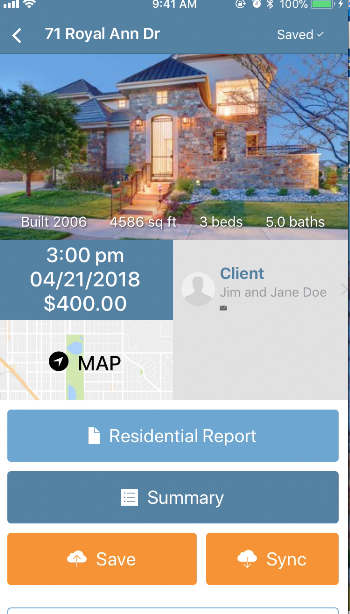 You can do you your whole inspection on-site in the mobile app without an internet connection. This includes adding photos, annotating, modifying or creating comments, and saving to your template. The 2 times you do need an internet connection are when you import the inspection to your device, and when you save your inspection back up to the cloud. You should open your Spectora app each morning (where you have a strong connection) and confirm the dashboard has imported your inspections for the day. This happens automatically when you login and see the dashboard. They've successfully imported when you see a blue arrow. 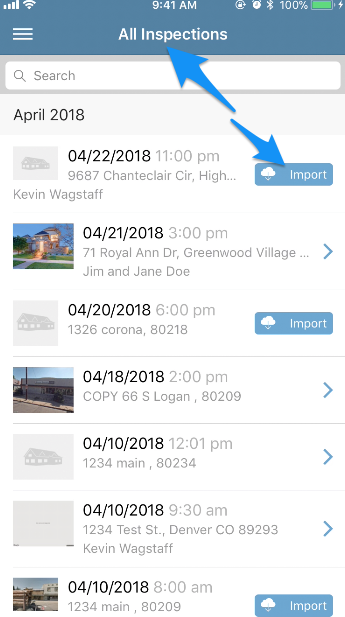 If you import the inspection to your mobile device the night before, you'll find the inspection in "All" on the mobile app and hit the "Import" button. 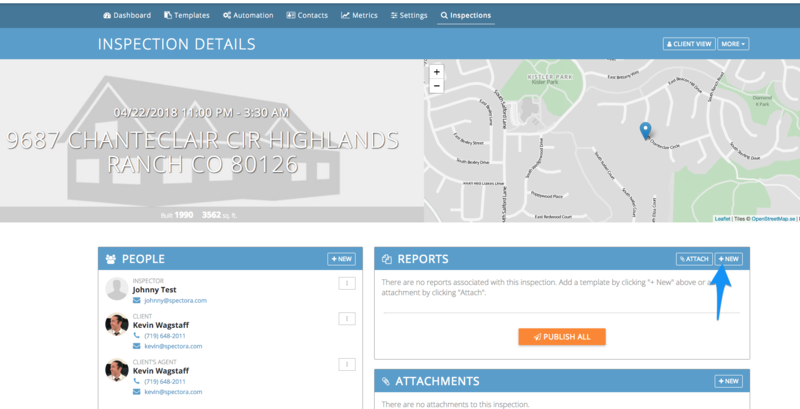 If you don't see a report associated with that inspection, that means you need to add a template to that report, either by taping More Options>Edit Inspection Details or going to desktop and adding a new report. 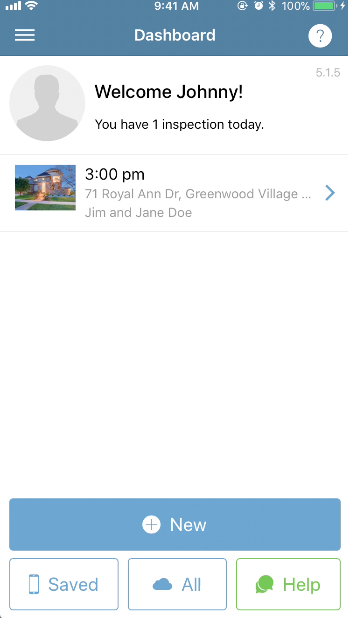 When you finish entering your inspection data into the app, you'll need a connection to "Save to Cloud" or "Sync". Many inspectors do this when they get back into an area with a strong connection to prevent partial uploads or errors.